Control your fairy in the game. Watch out the blocks. 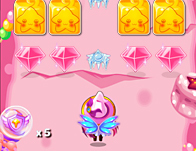 Collect all the crystals in the map to pass the level.